OK, I've now heard from three folks asking what we're up to, so I guess I'll throw in an update. I did finish shellacking the closets and we moved in the next day. 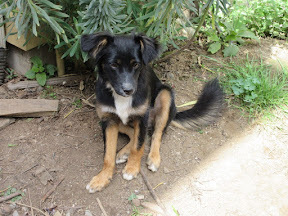 We also went out to storage and brought back what clothing boxes we could find so we could unpack and sift stuff. Our closets are not photogenic enough yet for photos. Over the last couple of weeks, Jeff and I also preserved four 26-pound boxes of peaches. We ended up with at least 21 jars of sliced peaches, six pie fillings plus a number of containers of frozen peaches for making smoothies. Jeff has been spending a lot of time with his friend Eric (who helped us build the fence and closets), helping him out on big projects. 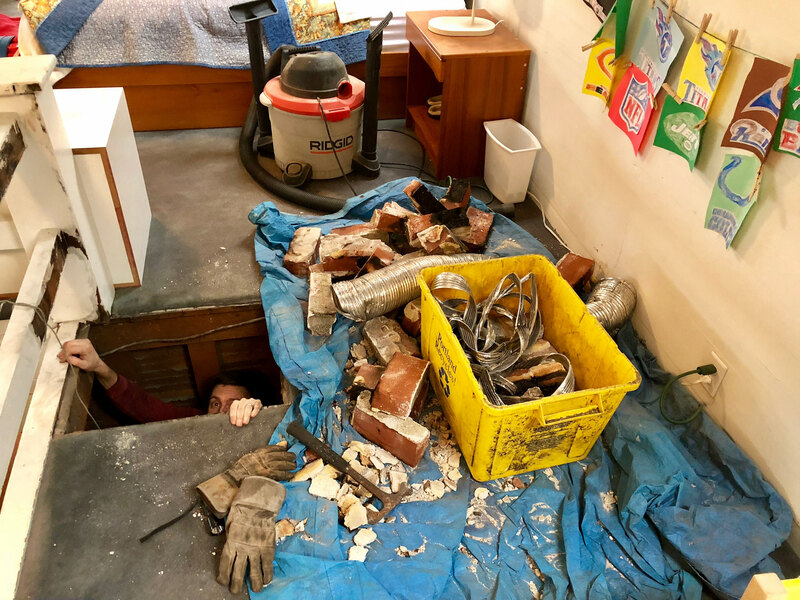 He helped repair a deck and demo a bathroom. This weekend, Jeff went off with Eric to a World War 2 reenactment. It sounds like he took a bunch of pictures so perhaps he'll do an update when he gets home. 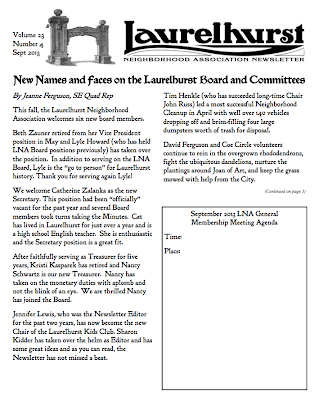 I (in a moment of ?insanity) volunteered to be the newsletter editor for the Laurelhurst Neighborhood Association. My first issue is due in early-September, so I've been working on it. I decided I didn't want to use the software that came with the job, so I've been retyping it all into Publisher which takes time. 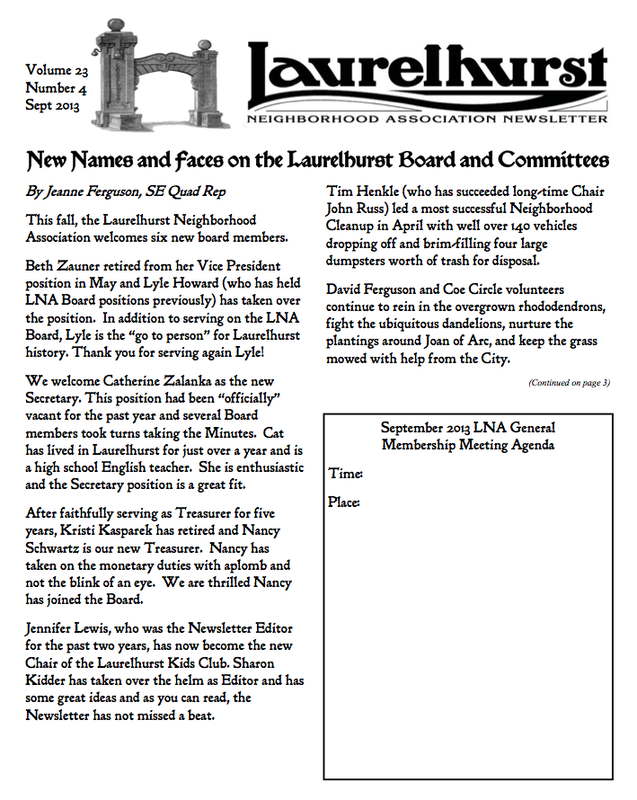 I've also been poking around my downloaded Oregonian pdf files looking for "clip art" that I could use in the Laurelhurst newsletter and I've been cleaning up the images using CorelDraw. I haven't really learned CorelDraw yet, so the project goes pretty slowly as I struggle with the learning curve. I am deeply annoyed with our 2009 Toyota Highlander. We've had to call out the tow truck about four times since moving here and we've had to replace the starter battery twice. It is sitting in front of our house right now unwilling to move, giving all kinds of warnings, waiting for the damn tow truck again. I think it is time to figure out a reliable replacement. This stupid vehicle cost twice as much as any of our earlier vehicles and has been more than twice the trouble. Sounds like you've been busy. I'm emitting sympathetic noises about your car. I had a 1988 Mazda that got great gas mileage, but every couple of years it'd require a redo of the whole electrical system that would cost me as much as the car did when I got it used. Ridiculous. Time for a new one. Don't you just love cars? 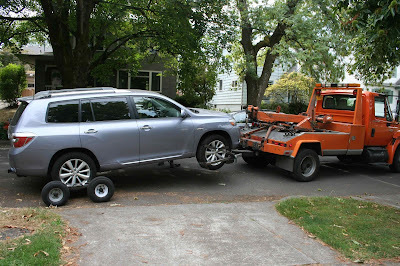 I have 2 old Subaru Outbacks that I love, but I could be just lucky. 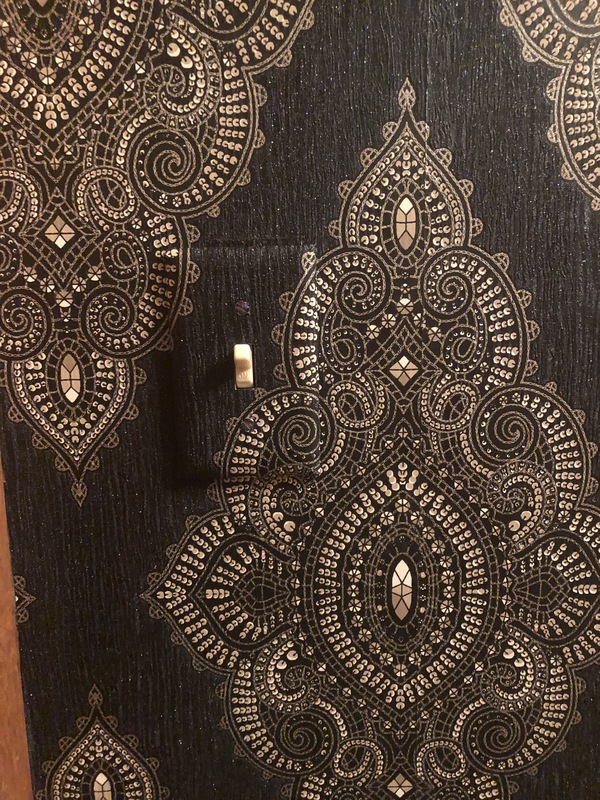 Great job with the house--I have closet envy.